Hielscher industrial ultrasonic devices are powerful, efficient and reliable. They are built to operate continuously at high load in industrial environments. 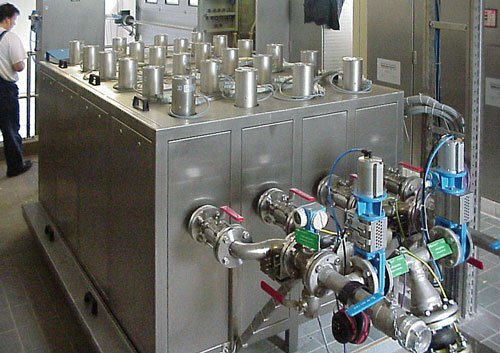 With up to 16kW per device, Hielscher is the leading ultrasonics supplier for industrial liquid processes. Ultrasonic liquid processing at industrial level requires industrial ultrasonic equipment, because the power requirement rises with the volume or flow to be processed. Laboratory devices – although capable of handling up to one ton per day – are not sufficient for production processes. Hielscher is the leading ultrasonics supplier for industrial liquid processing applications, such as, the dispersing & milling of pigments in paints or inks, formulation of high performance coatings with nanomaterials, manufacturing of biodiesel or the pasteurization of food or beverage. Equipment requirements change, when you take processes from the research lab to the production level. Processing volumes rise; processing costs matter; processing quality becomes a key target. Other factors, such as equipment reliability or energy efficiency may become important, too. Hielscher offers a range of ultrasonic processors specifically designed for industrial liquid processing applications. Ultrasonic output power is a key factor for process scale-up. In order to process larger volumes in a given amount of time, you need to deploy more power. Hielscher is the world’s premier supplier of high-power ultrasonic devices. The power per device ranges from 500 watts to 16 kilowatts. 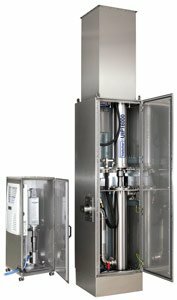 For typical liquid processing applications, four or more units are combined in clusters for enhanced redundancy and capacity adaptability. 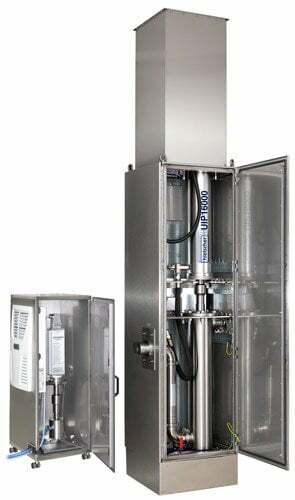 For example, a cluster of 6xUIP10000 (60kW) may be used for the processing of up to 50 cubic meters of biodiesel per hour. High power equipment uses more electricity. Considering rising energy prices, this affects the costs of processing. For this reason, it is important, that the equipment does not lose much energy in the conversion of electricity into mechanical output. Hielscher ultrasonic processors have an outstanding efficiency of >85%. This reduces your electricity costs and gives you more processing performance. To meet industrial processing requirements takes more than just power. Hielscher industrial ultrasonic devices are built for continuous operation in demanding environments. Every single component of Hielscher industrial ultrasonic processors (UIP series) is designed and tested for long-term performance. In worldwide installations, Hielscher ultrasonic systems face outdoor installation, dusty air, sprayed liquids or rough handling.